Home Motor Racing Ken Block’s Gymkhana NINE: Raw Industrial Playground. 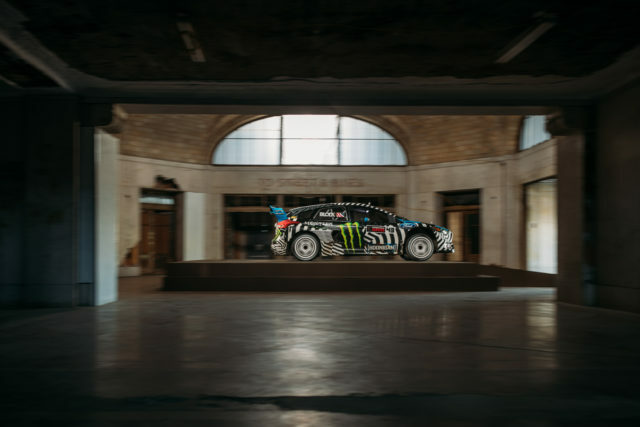 Ken Block’s Gymkhana NINE: Raw Industrial Playground. 2016 marks a historic year for Hoonigan Racing Division and Monster Energy’s Ken Block, as he has just released his second Gymkhana video of the year through Hoonigan’s YouTube channel. 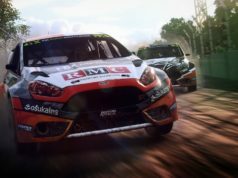 Titled Gymkhana NINE: Raw Industrial Playground, the video returns Block’s hugely popular, 400+million view viral video franchise to it’s original roots with an emphasis on raw driving action in a simpler backdrop, as well as demonstrating the performance of his all-new Ford Focus RS RX rallycross car that he competes with in the 2016 FIA World Rallycross Championship presented by Monster Energy. Filmed over the course of four days in western New York, the video takes place in a series of mostly derelict industrial spaces, harkening back to settings that are visually similar to Block’s first two Gymkhana videos and that ultimately allowed for some of Block’s most raw and aggressive Gymkhana driving in years. In addition to being presented by Hoonigan, Gymkhana NINE also ushers in a new partnership for Block with the Forza Horizons video game franchise. Two tricks in the video that were inspired by the game itself include a helicopter suspending a brand-new 2017 Ford Raptor from the sky while Block does donuts around it as it spins wildly out of control, as well as a scene where Block drift jumps sideways in front of a moving train. Both of the Forza moments are incredibly high-risk and utilized all of Block’s skill to be pulled off successfully. In addition to the aforementioned “Forza moments” from the video, Block also ups the ante in Gymkhana NINE with one of his most outrageous maneuvers to-date: a literal cliffhanger where he exits a warehouse, throws his Ford Focus RS RX into an alley-oop around a telephone cable spool and then proceeds to hang the rear end—and rear wheels—right off of the edge of a shipping pier on Lake Erie. 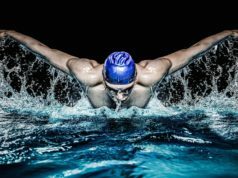 Previous articleHow Much Body Fat You Need To Lose To Uncover Your Abs. Next articleStrengthen Your Whole Upper Body By Mastering This Classic Lift.